Sony has launched the new Sony A6500 mirrorless camera, the successor to the A6300 launched earlier this year. The other major announcement is the launch of premium compact RX 100 V which succeeds the RX 100 IV. (Update 20/12/2016) – Official Price announced by Sony for the Sony A6500 body only is 1,19,990. You will have to purchase the lenses separately. The camera will be available for purchase starting last week of December. The Sony A6500 improves on the A6300 with the new front end LSI Chip which enables you to shoot upto 307 frames and the camera will also feel more responsive with a bit of more processing power. The great features which Sony has added to the A6500 is a 5 axis image stabilization and a touchscreen. It will help improve the stability in Videos and definitely a more improved video footage. The 5 axis stabilization has come first time to the Sony APS-C camera’s and claims to offer 5 stops faster shutter speed. While the Sony lens has inbuilt optical image stabilization, having it in the body will help a lot more. This will work with the E-mount as well as the A-mount lenses(with adaptor). Also, the addition of touch screen can be a great advantage and in all practical scenario will speed up your tasks from viewing photos to navigating to settings. A good edition, which I have missed on my A6000 dearly. The Sony A6300 is 6 months old and succeeds one of the most successful mirrorless cameras, the Alpha 6000. My affair with the digital SLR camera’s started 4 years back and when I bought a Canon 600D. Last year I upgraded to a Sony A6000 (along with the purchase of two stock lens), and the affair is becoming more intense while we do more reviews and videos. The Alpha 6000 is an excellent camera with fast Autofocus and ability to click great images the A6500 takes it to a new level. The A6300 got some additional benefit Vs the A6000, the major upgrade was the ability to record 4K videos which was missing on the alpha 6000. The number of focus points is 425 on A6500 Vs 169 on the a6000. However, the A6300 is a bit heavy in comparison to the A6300. Also, the A6000 is still a great bet for a price tag of Rs. 57,000 in India with 2 stock lens. 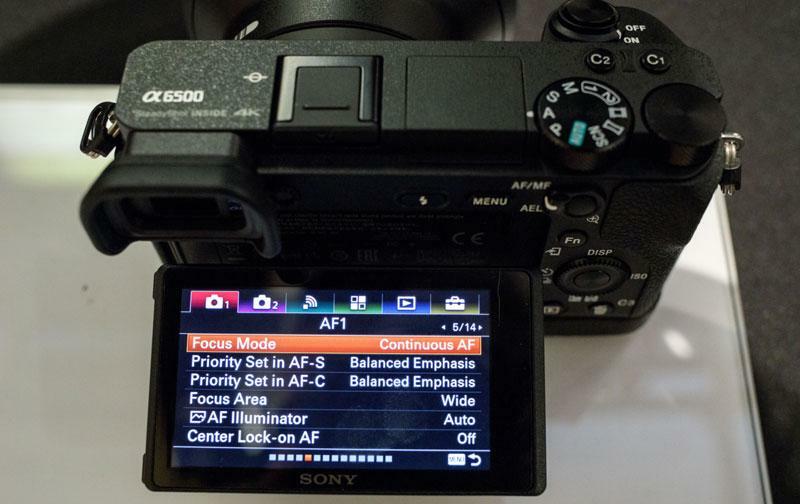 Besides, the A6300 is available for Rs. 89,000 with 2 stock e-mount lenses. On the other hand, the Sony A6500 costs $1400 in the US. However, in India Sony says the price for the camera is Rs. 1,19,990 only for the body. Moreover, it will go on sale by the last week of December in stores and online. The RX 100 V comes at a price of $1000 or Rs. 66000 in the Indian market when it gets launched next month. Moreover, it gets even faster auto-focus system and 315 PDAF points that cover 65% of the sensor. Also, the processing speed gets a boost with the new front end LSI processor and comes with Bionz X image processor that offers incredible 24fps burst shooting at 20.1-megapixel resolution. The little devil can shoot 4K videos and can even shoot slow-motion videos upto 960 fps. Laslty, the RX 100 V comes with a new 1-inch stacked CMOS sensor, 24-70mm f/1.8-2.8 lens, 3x optical zoom, 3-inch tilting LCD (non-touch) and Wi-Fi and NFC. Though I would love Sony to add a touchscreen to the premium compact RX 100 V, probably they would do it in the RX 100 VI. We will update once the new camera’s go on sale. What are your qualms about the sony a6000. A6000 is a great camera, i use it for 1080P videos, there is no 4K support and also click some shots occasionally, the body misses OIS but the lens quality compensates for that it is the best mirrorless camera in it’s price range ..